Lately it seems that everyone is shopping from Amazon, and I got a lot of requests to do a haul of my favorite picks. I spent a few hours analyzing the options, and found a few brands who have the cutest clothes. Every thing I picked, I kept. The price point can't be beat, and the quality for everything I picked is fantastic. It's possible to get a new spring wardrobe for under $400. Holla!! *These photos were taken on my cellphone. 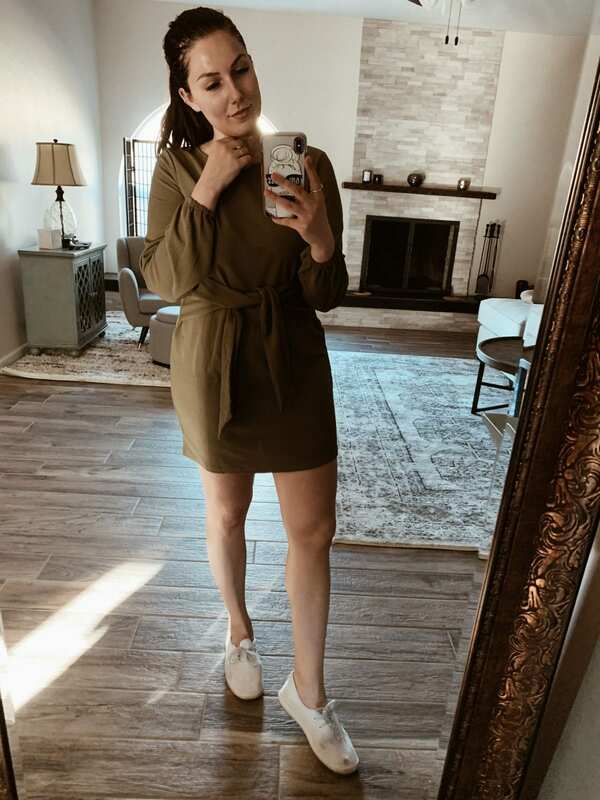 Hopefully you're okay with the lower quality imagery for a casual on-the-go try-on. 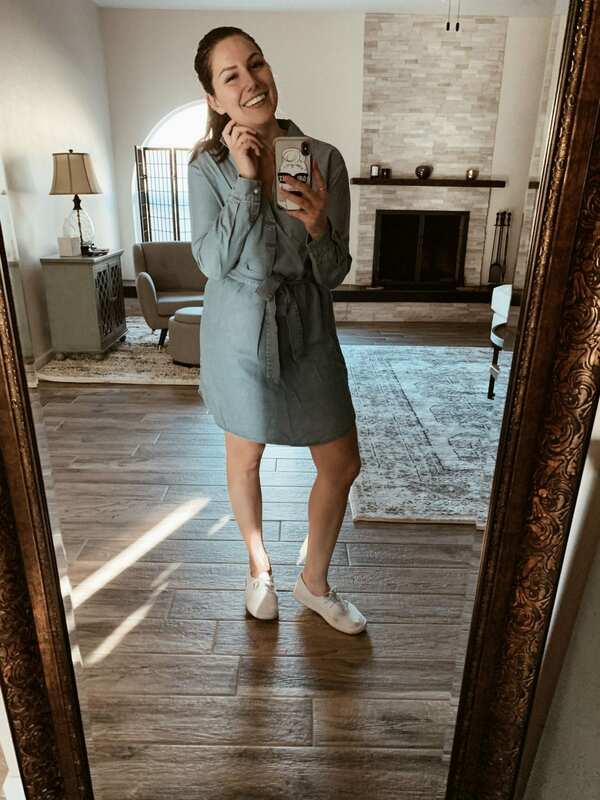 This is the bathrobe dreams are made of; the perfect color for spring and it's a shorter cut so you don't get too hot. Especially for me here in Arizona, I don't want one that goes all the way down to my ankles. Leaving that kind of bathrobe for the fall and winter. This long maxi dress is the perfect throw on for the warm months ahead. Did I mention it's $20?! I love being able to have easy outfits that I can just throw on and run out the door. This is perfect with a pair of sandals, sneakers or some flats. I paired mine with a pop of color, with my pink Birdies. This set of two tees is the ultimate staple. I don't know why but I never have simply tees just to throw on around the house, or if I need to check the mail or go run a few errands. Must add to your Amazon cart. Plus it's $20 for two good quality tees! I love wearing all the shorts in the spring. Arizona gets hot QUICK. Three amazing options for tops that can be dressed up or down. The most perfect dress for spring and summer. Another easy throw on, in a fun blue (denim-like) cut. I like the length too because it's not too short, but also gives your legs some room to breathe. So thankful sneakers are back in style, because they are my FAVE. I rock these all the time, but I've got about 5 different pairs of sneakers I've been switching between each time I leave the house. There's something so flattering about a dress that ties in the stomach area. It also gives a bit more of that hourglass shape and the material is to comfortable and breathable. This is definitely going to be a dress I turn to time and time again. This is the perfect dress for afternoons and evenings out as the sun is beginning to come down. It's a thicker material which will be perfect for that cool breeze as you watch the sun go down. Another amazing $20 make you holla option! Two fun t-shirt options that are perfect with jeans, shorts or capris. Also these are the most comfortable sandals. Love the espadrille effect at the bottom, but they really have a great cushion. Genuinely like walking on a cloud, and they're nice and wide for all those with wider feet that don't fit in those teeny tiny heels. I can't say enough good things about these sandals. You def need them! 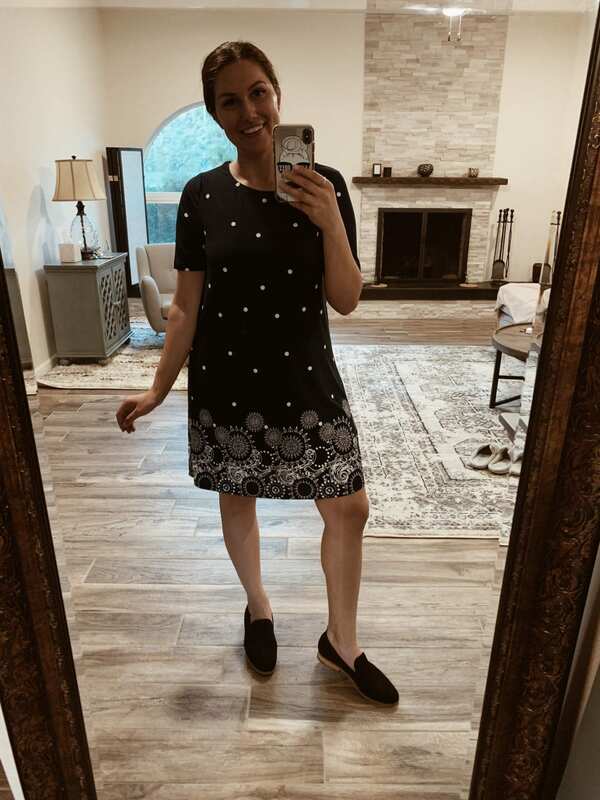 This dress is $19 and perfect for spring and summer. It looks so much more luxe, and I am here for it. It's nice and loose too which is my favorite kind of dress. I also found the perfect dress for a special occasion. There's something magical about dark blue with white polka dots. It's the easiest dress to throw on with some heels or sandals, and hit the town for the evening.